“Mom, what’s for dinner?” I’m sure that question sounds familiar. Or, “When are we eating?” Other than “Mom,” these are the words I have probably head the most. Does planning meals fill you with dread? 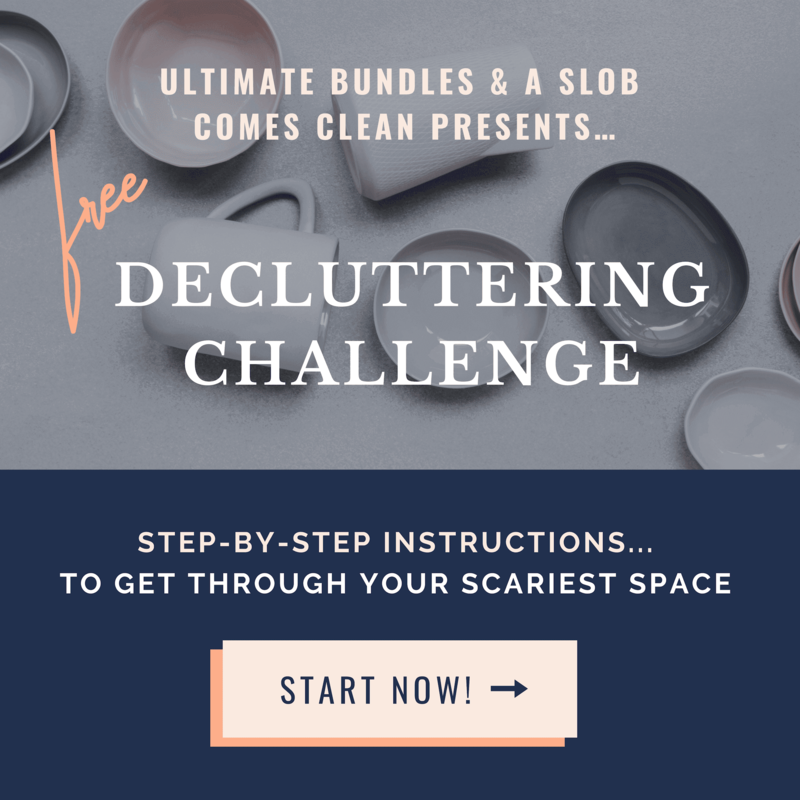 Do you feel like you just can’t get a handle on it and would love for someone else to take over this task for a while? Maybe you just want a little help and guidance to get a good plan in place. If you have thought of or wished for any of these things, I am writing this for you. You can be successful with meal planning. Using just five simple steps, meal planning will be easier and more fun. 1. Take inventory of what you have. Start a list of what items you already have. Discover what you need to use up soon. Is there a chicken that has been in the freezer for a while? Do those vegetables in the refrigerator only have a few days left? Check out your pantry, too, for items that have been there for a while. Also, note foods you bought but haven’t yet tried or ingredients you already have on hand for a favorite dish. I list my inventory discoveries on a piece of paper so I do not forget. The next step I take is to look at our family’s calendar for the next week. Yes, I look at our calendar. Will we be home every night at dinner? Will there be days where we will get home right at dinnertime? I determine if we need to have some easy meals I can make ahead or make in the crockpot. I note any of these on my list. Will we be gone for dinner any day in the week or will we need to take a dish to a potluck gathering or family dinner? I note these down on my paper, too. Now I know how many meals I need to make and what type of meals I need to prepare. Looking at my lists, I decide what recipes I want to make based on the ingredients I already have, the type of dishes I need to prepare, and the dishes I may need to take somewhere. Make a list all of the recipes you will make during the week. 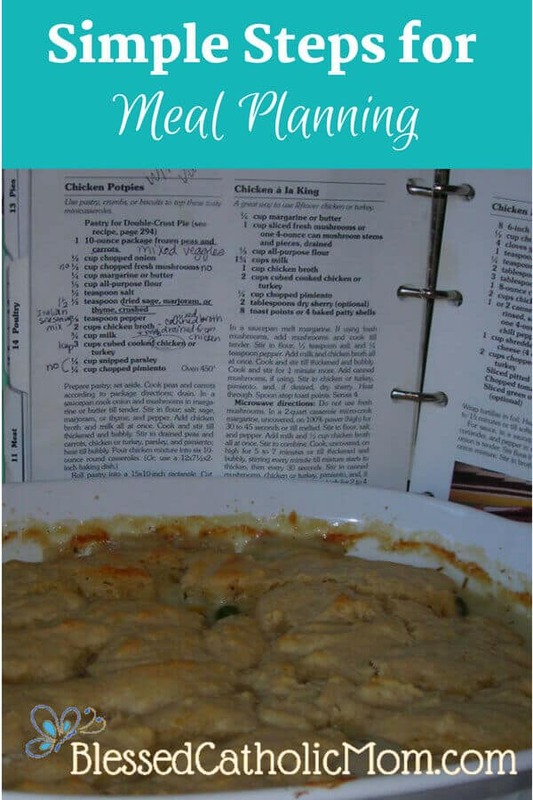 Write down the title and page number of the cookbook where you found the recipe or if you found it online, print out the recipe or save it on your device. Don’t neglect this step. It will save a potential headache and wasted time later. Ask me how I know . . .
4. Make a detailed grocery list. Make a detailed grocery list based on the ingredients you need for the recipes you have chosen. 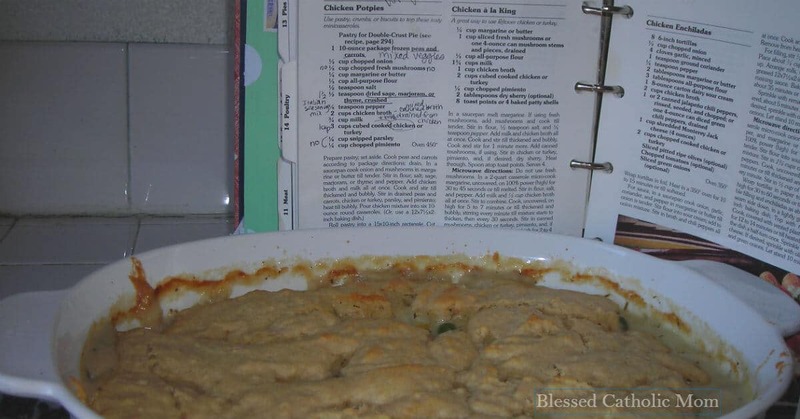 If I have two recipes requiring chicken, I won’t just put “chicken” on my grocery list. I will put the type and amount I need of an item. For example, I will write “five chicken breasts” and “eight drumsticks.” I am specific so I make sure that I will purchase the right items in the correct quantities. This is especially helpful when my husband does the shopping instead of me. He has not read the recipes ahead of time like I did, so he will not know exactly what is needed unless it is written down. Once I put spinach on a grocery list and my husband bought frozen spinach since that is what we usually buy. The recipe called for fresh spinach, but I wasn’t specific, so we made do with frozen spinach. Being specific has also saved a lot of phone calls from him when he is at the store! On the shopping list, I also fill in items we need that we have run out of (like milk) or are running low on (like condiments or baking staples). 5. Create a meal plan as your guide. A meal plan is simple to create. I plan our meals for one week at a time and do our grocery shopping once a week. After I determine which meal I will make on which day of the week, I write the meals on the calendar in pencil. I used to write in pen, but needed to scribble them out sometimes as plans changed. Pencil or small sticky notes is easier and neater when changes need to be made. We just did this last night. Before any leftovers get shoved into the back of the refrigerator and forgotten, schedule a leftovers night for dinner once a week or a few times a month, depending on how many leftovers you typically have. We pull everything out and put it on the table; each person can choose what they want to eat. Sometimes we’ll add vegetables or a salad to go with everything if we need a little more food for the meal. Keep a running grocery list. If there is a meal you want to make the next week, write it down as well, so you won’t forget about it. Have a “don’t touch drawer” in your refrigerator. So, I (finally!!!) created what our oldest daughter has since named the “don’t touch drawer.” Whenever we have an ingredient specifically for a recipe, we put it in this drawer. We all know that what is in there is off-limits for snacks or for other meals that are not on the menu plan. Funny warning: our kids will put things in there, too, like Easter candy, that they do not want to share with their siblings. Sometimes I am surprised by what I find in this drawer. If you have the space and the need for it, you can have a don’t touch shelf in the pantry, too. I usually just put pantry items for recipes up on the top shelf–the one I myself need a chair or step-stool to reach. Check your calendar each evening and each morning to see what your dinner plan is. I also find it helpful to check our calendar in the morning to see what I scheduled for dinner that day. Is it a crock pot recipe, a quick and easy recipe, or a recipe that will take me a little bit longer to prepare? I need to make sure I am aware of the time a recipe will require as I plan my day. Plan to cook with your kids. 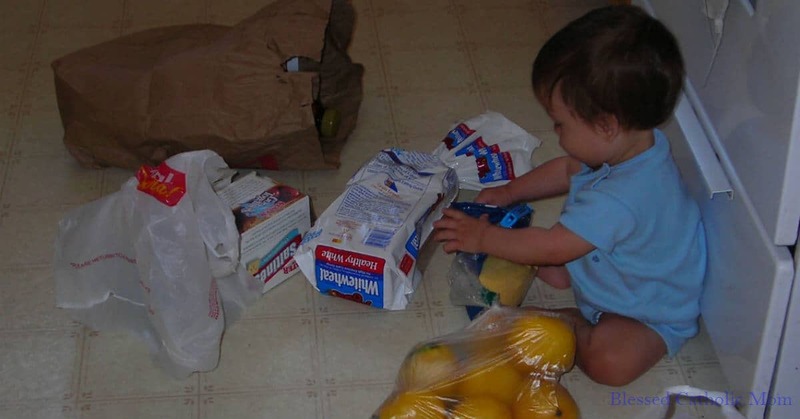 See “Simple Tips for Cooking with Children” for specific ideas.